XSEED and otome games; why has this not happened before now? The combination of otome and XSEED Games is not something many of us expected. When we think of otome, we often think of Aksys Games, Idea Factory International, or MangaGamer. Conversely, when we think of XSEED Games we think of Senran Kagura, anything by Falcom, and of course Corpse Party. So, you may think these two things would make for strange bedfellows. However, what many people tend to forget, especially in the wake of Senran Kagura’s success, is that the people at XSEED Games are a talented bunch and come from all fandoms and walks of life. 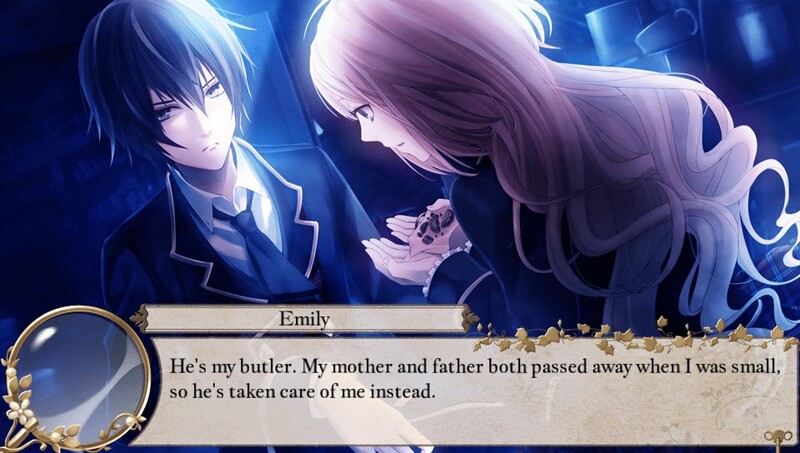 And the proof of that is in this little gem of a title called London Detective Mysteria. 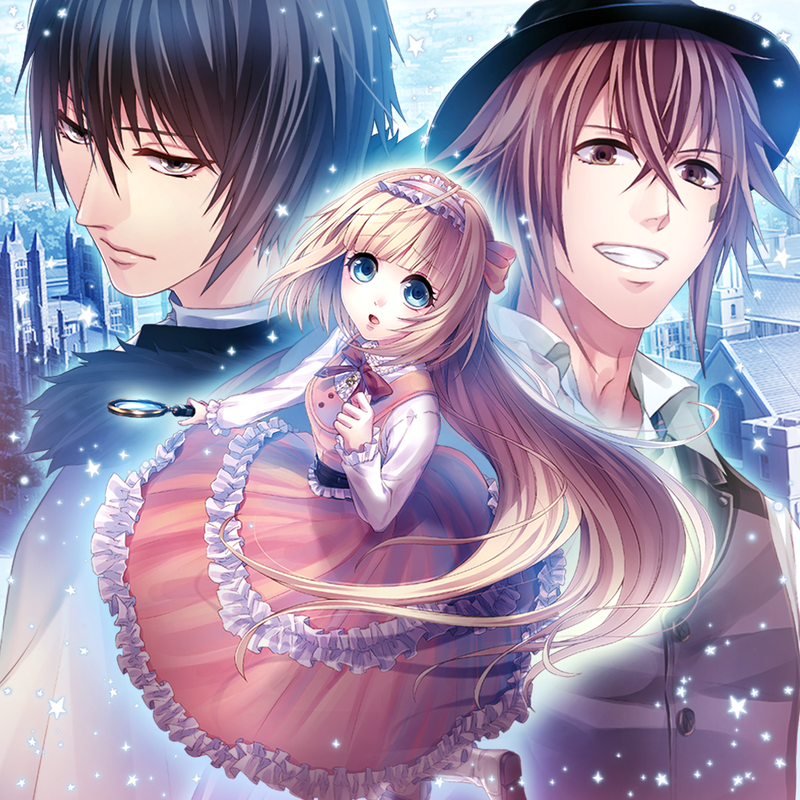 London Detective Mysteria was originally released as Eikoku Tantei Mysteria in 2013 for the PlayStation Portable by Karin Entertainment. It was then remade in 2016 as Eikoki Tantei Mysteria The Crown for the PlayStation Vita. This is the version of the game we’ll be getting and it’s quite promising. But, let me show you want I mean by delving into the game itself. Holmes (left), Watson (right), and Emily (center). The three main characters of the AX demo. London Detective Mysteria stars Emily Whiteley. Emily (who can be renamed) comes from a family with high social standing, which in the late 1890’s England, meant she had access to some pretty important people. This leads us to our prologue where she’s headed to the palace to attend the Queen’s birthday. After some snide remarks about her waistline from her butler Pendleton, the two arrive at the palace only to walk right into a mystery. I love just how snarky Pendleton can be at times. Still, he’s as faithful and resourceful as any butler out there. Emily is a very observant type, and a bit of a tomboy much to Pendleton’s dismay. She quickly notices two figures who don’t seem like they belong at a socialite party for the Queen and follows them to discover they were called by Scottland Yard. These two figures are Hurlock Holmes and William H. Watson. And if those names are familiar that’s because they are the sons of the famous Sherlock Holmes and Watson. In fact, homages to other famous historical figures make up the cast of London Detective Mysteria. But back to the case at hand. Emily eavesdrops on a conversation they have with the Queen to learn that a cat which was given to her as a present by a foreign king has gone missing. And since she needs to present said cat at the party today to affirm her friendship with that King, they need to find it ASAP. Thus, why she summoned Holmes and Watson. Emily though is discovered and asked by the Queen as well to assist. Turns out Emily’s mother and the Queen knew each other. But, with the Queen’s blessing, the trio set out to find the missing cat. Speaking of snark, Holmes very much has his own fair bit of it. Still, a lot of that is because he doesn’t see Emily as an intellectual equal at first. After doing some basic tracking, the three end up unable to follow the cat’s path any further. However, Emily has a plan: catnip. While I’m not sure the actual plant they use is catnip, it has the same effect. After having Pendleton bring some of the necessary plants, the trio light it on fire and use the smoke to attract any cat in the vicinity to them. The plan works perfectly, and our heroes are able to reclaim the cat and return it to the Queen. Avoiding an international incident in doing so. But we’re not quite done yet. After this success, the Queen summons Emily privately a few days later and encourages her to enroll in a famous school for detectives in London. While Emily is unsure at first, with the Queen’s encouragement she takes her up on the offer. The Queen gives her a ring, the very one in the logo, and the demo ends as Emily prepares to head off. While this is an abridged version of an hour-long demo, there’s still a lot to unpack from it. Let’s start with Emily herself. This demo gave me an excellent impression of Emily. I’m very interested to learn her backstory and what happened to her parents. I love Emily. Not only is she voiced, she also leaves a strong impact out of the gate. Intelligent, observant, and able to stand toe-to-toe with Holmes, she’s a very proactive protagonist. A key complaint I hear about in otome titles is that the protagonist is always very passive. Needing to be rescued, or propped up, or that she’s forced to rely on the men around her. While I don’t necessarily see this in every otome protagonist (I adore Chizuru for example and find her to be quite strong) I can see people’s point. Emily though seems set up to defy this sort of thinking. It’s her observational skills that tip her off that something’s wrong. She makes the decision to follow Holmes and Watson. And it’s her plan that ultimately saves the day. Will she need the support of her love interest down the line? Probably, but that’s human nature. We’re an interdependent species, not an independent one. No one is perfect and we can’t shoulder everything ourselves. 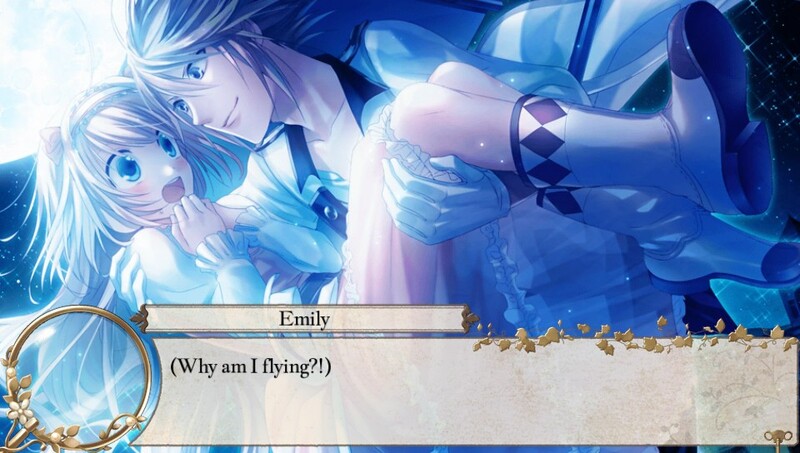 I suspect Emily will go through her own growth in this department, but I do think otome fans will enjoy how different she is from your standard otome heroine. Next, let’s talk English. Namely Victorian English. 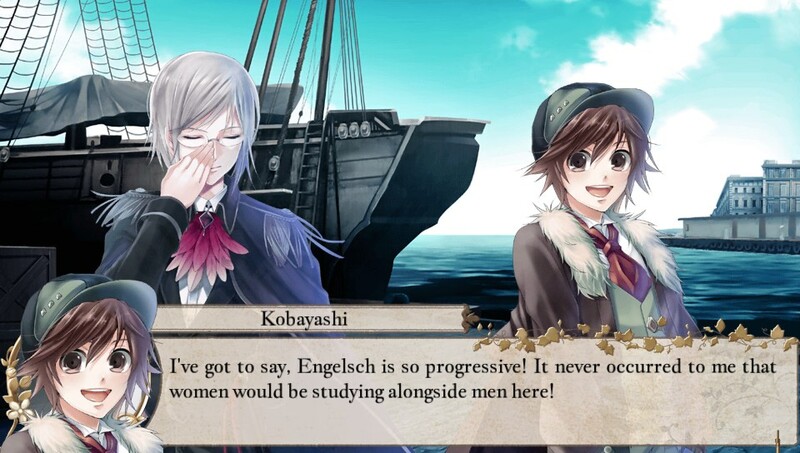 Case in point: Engelsch may sound like “Engrish”, but it’s actually a Low German word for English. Combine this with the fact that there were German doctors in Japan during the Meiji period (1868-1912) and Kobayashi saying the word makes sense. XSEED Games has always been known for their attention to detail. Shiki’s valley-girl manner of speaking is Senran Kagura is a good example. 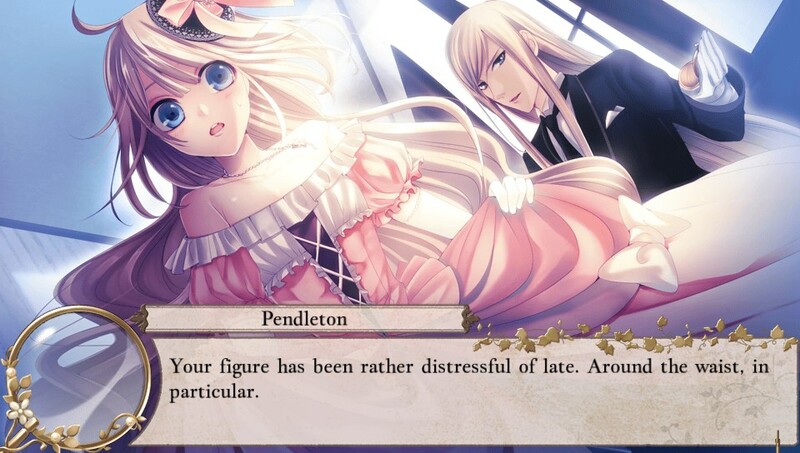 London Detective Mysteria is being localized with careful attention to the manner in which people speak. Since this game takes place in the late 1890’s the dialogue reflects this. Today and tomorrow, for example, are spelled “to-day” and “to-morrow”. Another example? Jack the Ripper (yes he’s here too) will have a Cockney accent. 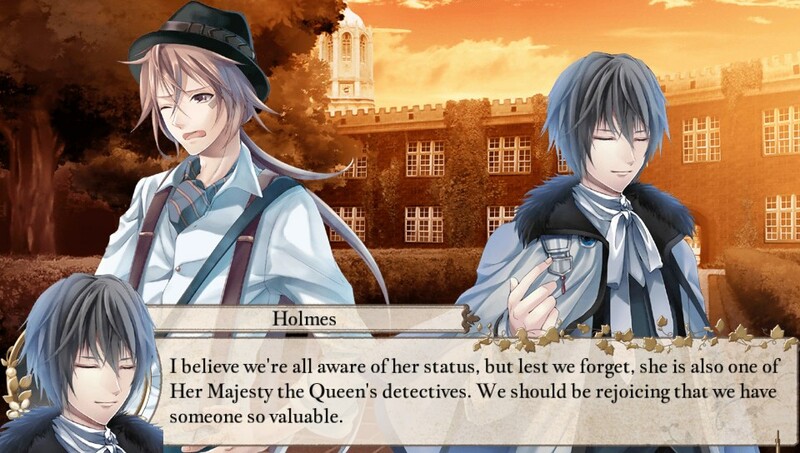 This actually would make London Detective Mysteria more authentic than its Japanese counterpart. Combine that with Karen Entertainment’s attention to detail and research in getting the settings and character designs right and I think fans of Victorian England will have much to be happy about. So, what’s my final verdict on this demo? Excellent question! But we’ll have to wait for the release of the game to find out why Lupin here is stealing Emily. You don’t need to be a detective to see that XSEED Game’s first otome is shaping up to be a real winner. In a market that already has such heavy hitters as Aksys Games and IFI taking every Otomate title they can get their hands on, you’d think the only realm left was the 18+ titles MangaGamer is bringing over like Fashioning Little Miss Lonesome. However, XSEED Games has found a developer with quite the hidden gem. Who knows, maybe this time next year we’ll be talking about XSEED Games’ localizing another of Karin Entertainment’s titles. Namely, Zettai Meikyuu Himitsu no Oyayubi-hime. But for now, look forward to when this title drops in the near future.